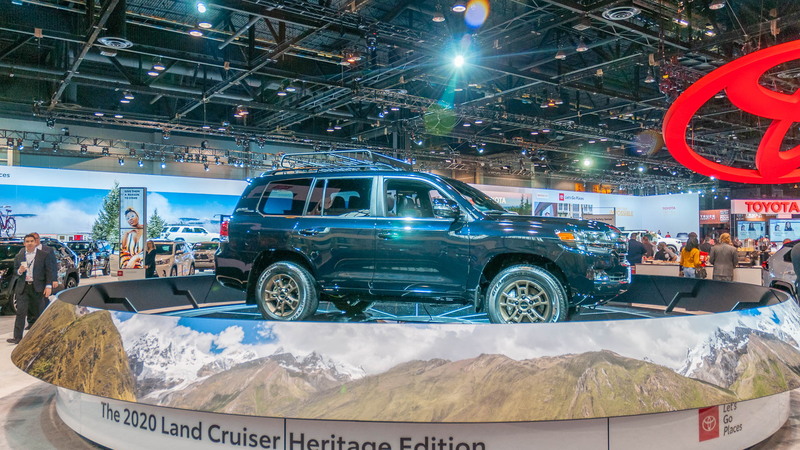 Toyota announced the Land Cruise Heritage Edition on Wednesday ahead of its public debut at the 2019 Chicago Auto Show. 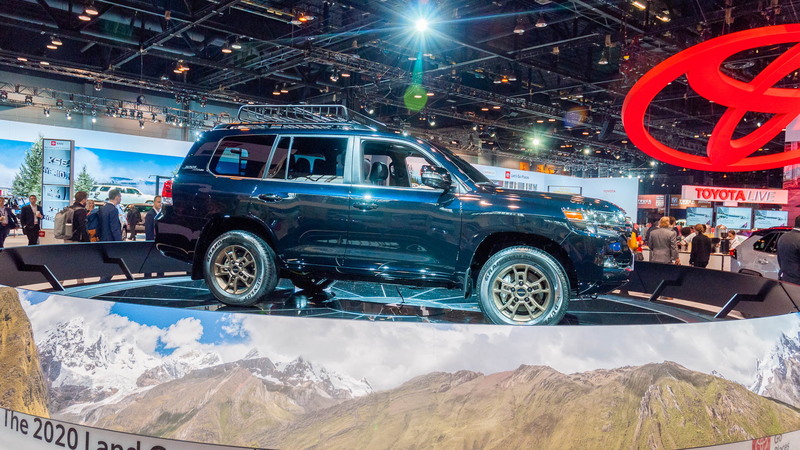 It's the little things that make it a special-edition SUV as there are no major changes to the Land Cruiser's beloved and tried-and-true formula. 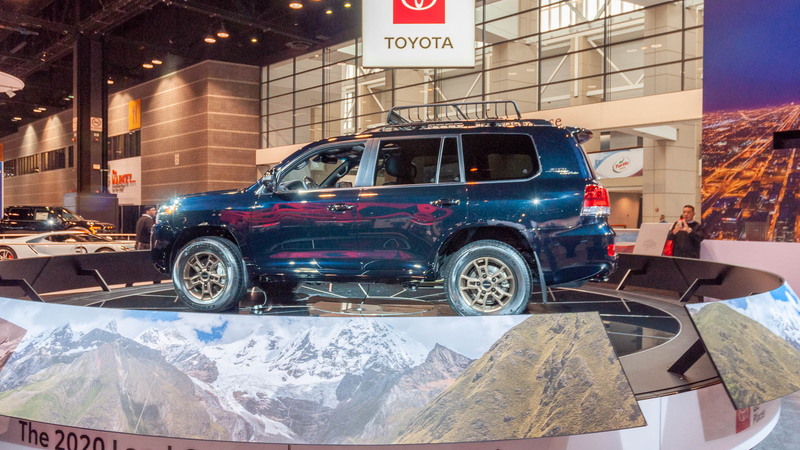 Further, Toyota deletes the running boards and chrome lower-body side moldings, while darkened elements feature in the headlights and fog lights. Black chrome replaces regular chrome accents on the side mirrors and fog light surrounds. 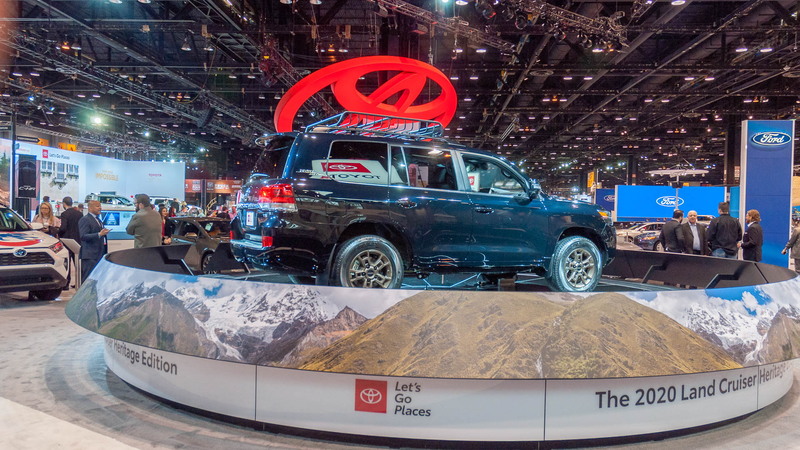 Toyota said the entire package is meant to underscore the hulking SUV's elegance while promoting an overlanding kind of style. 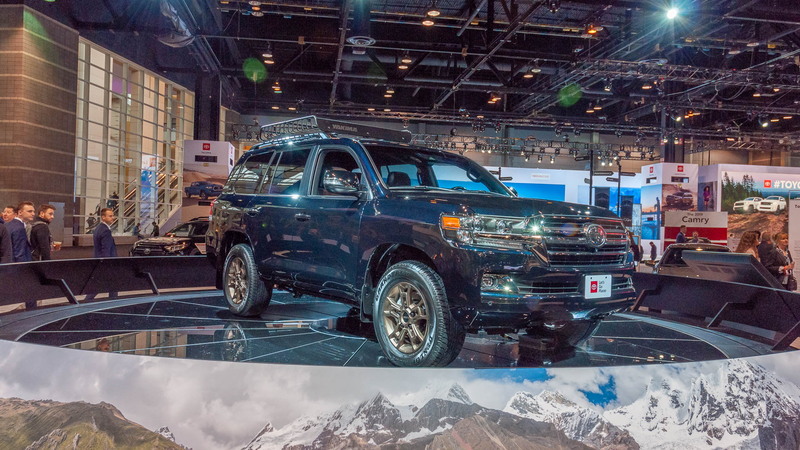 The powertrain remains the same as all other Land Cruisers, which means a trusty 5.7-liter V-8 engine is under the hood. The naturally aspirated V-8 produces 381 horsepower and 401 pound-feet of torque. We've found the engine provides more than enough gusto. Power heads through an 8-speed automatic transmission to a full-time four-wheel drive system with a 2-speed transfer case and a limited-slip rear differential.